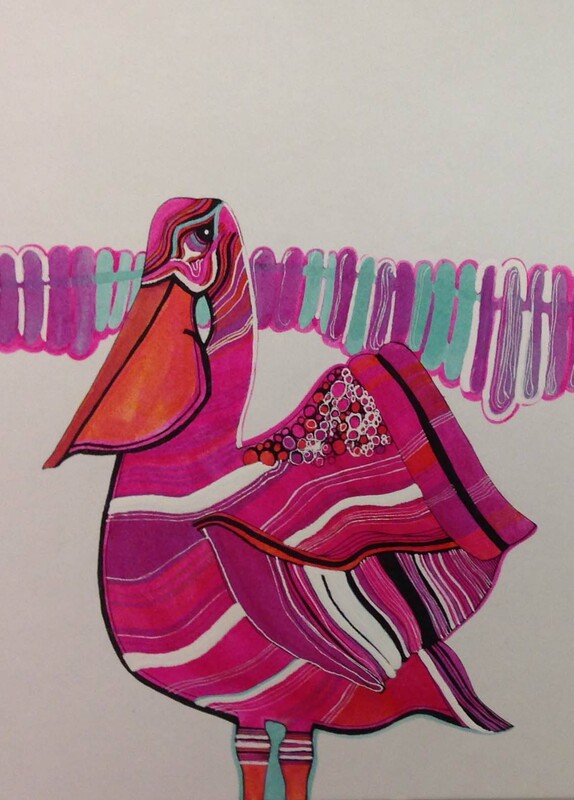 Detail of Pelican Illustration by Valerie McLachlan (née Gardiner) (Archive Reference JAC/230) . 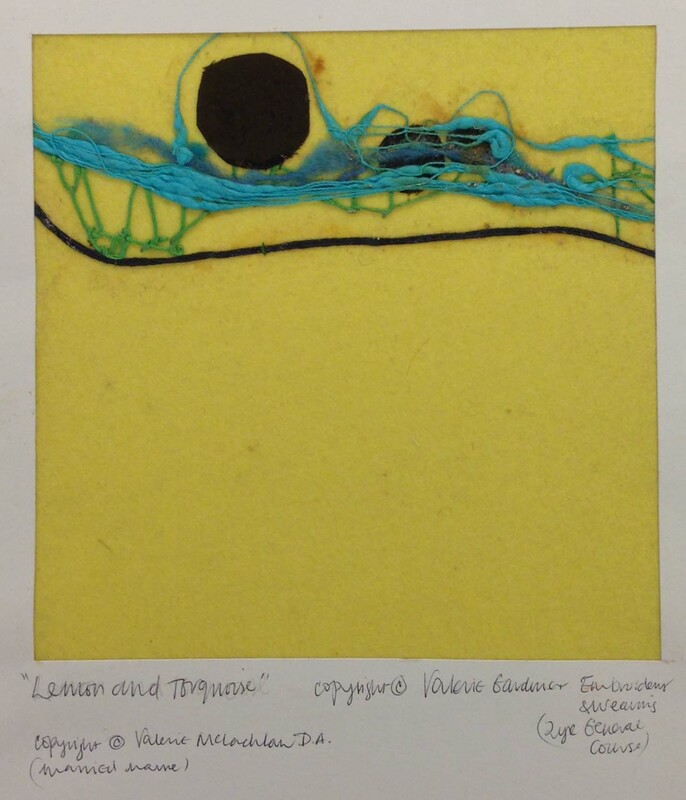 Last November the Archives and Collections received a new donation of student work from Valerie McLachlan (née Gardiner) who studied the General Course and then Graphic Design at GSA between 1967-1971, gaining a Diploma in Graphic Design. GSA’s Graphic Design course was initially established in 1936 as a Diploma in Commercial Art. After the Second World War, design subjects such as this flourished at GSA, reflecting a rise in the availability of materials and an increase in consumer spending power. The Graphic Design course has also recently been called Visual Communication; today our students study degrees in Communication Design, specialising in either Graphic Design, Illustration or Photography. 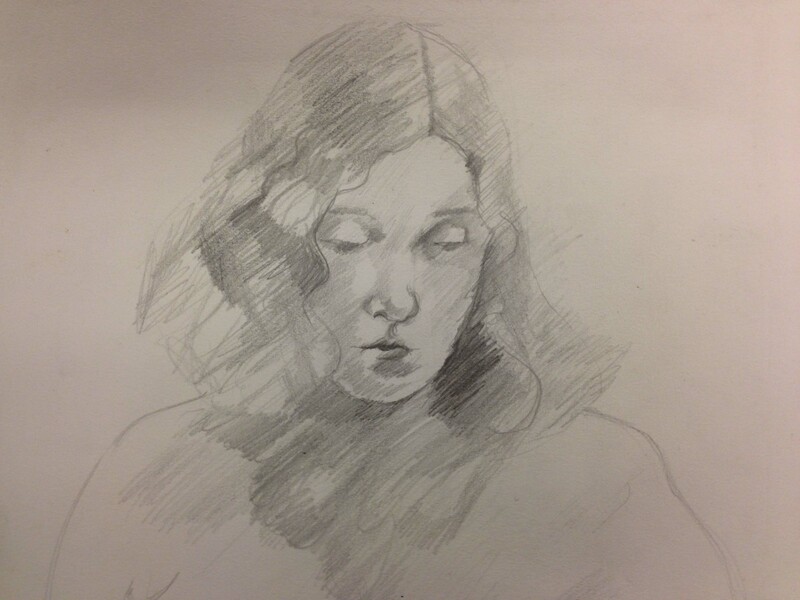 During the period Valerie studied at GSA, all students undertook a two-year General Course before specialising in a particular discipline, and life drawing was a key component of the curriculum throughout the four-year Diploma. This is reflected in Valerie’s portfolio which includes examples of textiles work and life drawings as well as Graphic Design work for illustration, branding and advertising projects. 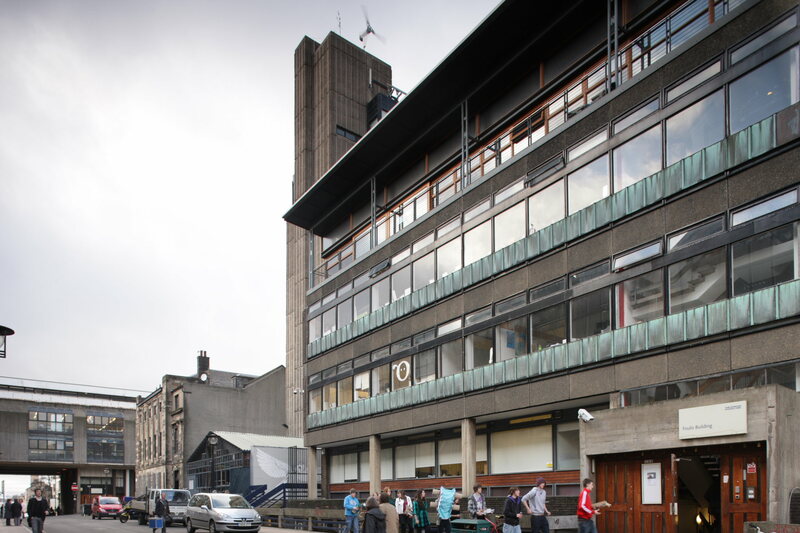 Valerie’s Graphics tutors included Gordon Huntly and Kit Grant and she was based in the then, newly-built Foulis Building (opened in 1964 and named in 1968) which was replaced in 2014 by GSA’s Reid Building. The team really enjoyed meeting Valerie and hearing her memories of drawing classes in the Mackintosh building, late-night working to complete diploma projects, and eventful School trips to Culzean Castle! 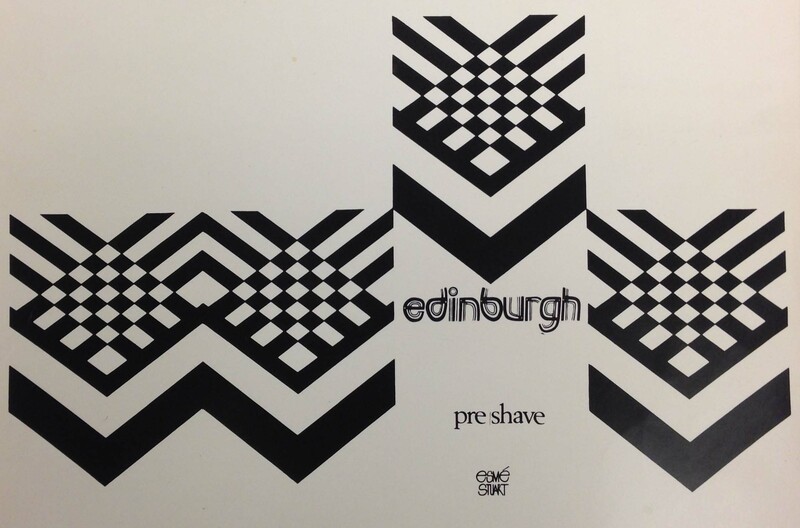 Her portfolio is a great addition to our holdings as we unfortunately, don’t have a lot of material relating to Graphic Design in the 1960s and 1970s, a notable exception being Lindsay Winning’s work from 1963-1967. More information about the School during the period Valerie and Lindsay studied with us can be found here. If you’re interested in viewing their collections in person, or if you have similar material you’d like to donate, please get in touch! Email archives@gsa.ac.uk.